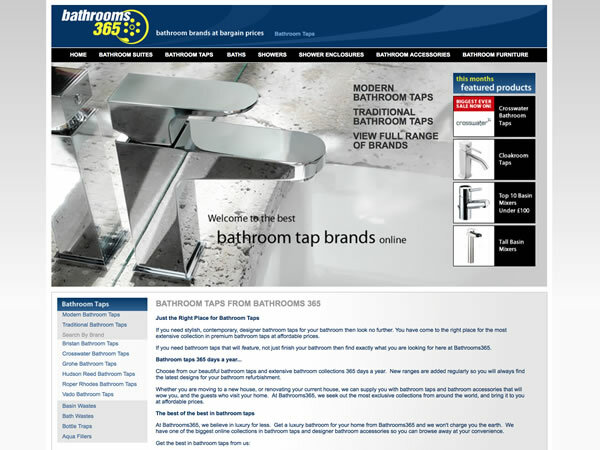 Bathrooms365, based in Thornbury near Bristol, is a dedicated independent bathroom retailer. They specialise in supplying products from the biggest brand bathroom manufacturers in the UK and Europe at fantastic discounted prices through our 7000 square foot premises in Thornbury and here, in our online bathroom shop. They supply all areas of your new bathroom – leading-edge designed bathroom suites, stylish bathroom taps and showers, all styles and forms of shower enclosures and a vast collection of bathroom furniture.